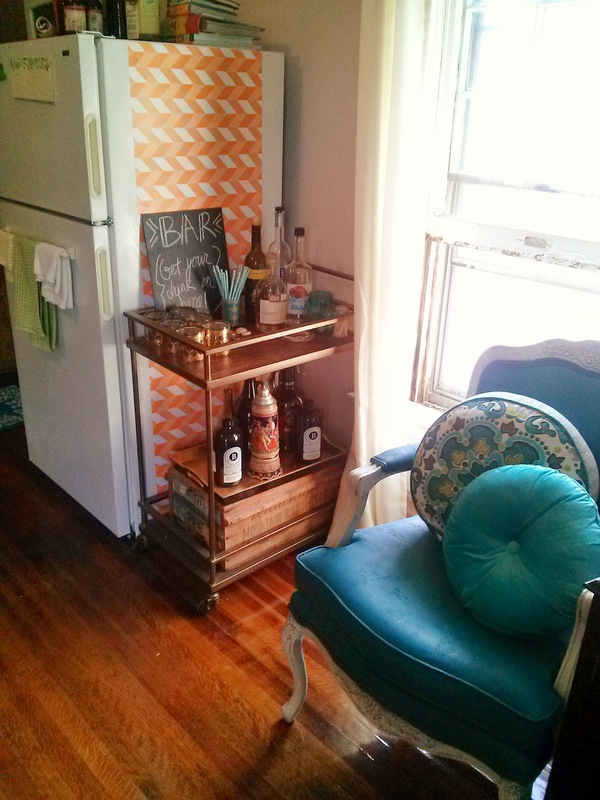 Before: Bar cart next to a fridge... nothing spectacular and pretty bland. I liked that when opening a beer, pouring a glass of wine, or mixing a cocktail, the fridge door was two steps away instead of an across-the-room trek. However, it's a fridge. Not the prettiest backdrop for a bar cart. After: Color! Pattern! The contact paper really brought this area to life. The contact paper was super easy to apply. It's not too sticky, so you can pull off and reapply if you mess up. Plus, it won't leave any residue behind. 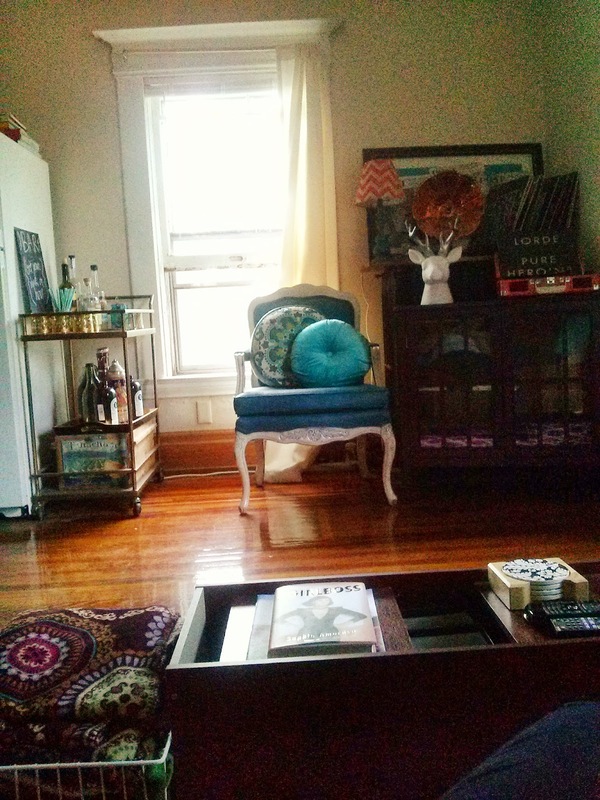 I love how this little corner now feels less like a fridge and more like a cocktail corner. And since the roll gave me 9 ft for $1, I still have the rest of the roll left for another project. 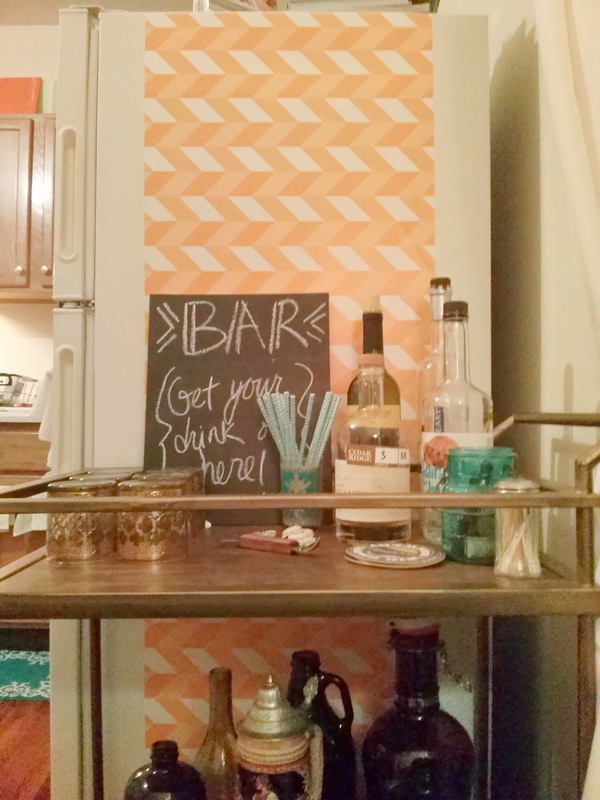 This is a super easy and super cheap project for any renter or dorm dweller. You could also use contact paper on your kitchen cabinets, the front of your fridge or all over a mini-fridge, a file cabinet, desk top, or even dorm or closet doors. What boring surface do you have just begging for a little pattern and color? That was definitely a great idea, love how it looks now! 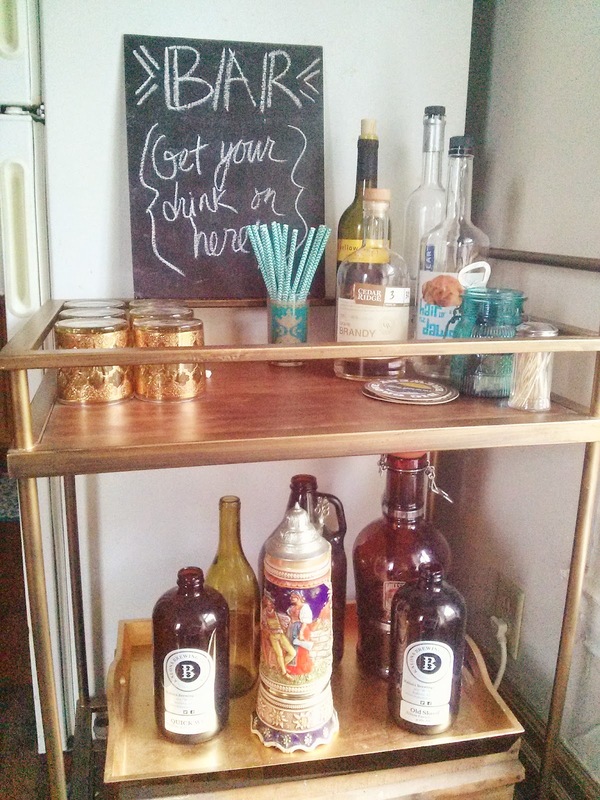 And I always love bar carts… I have to get one myself for my next apartment!